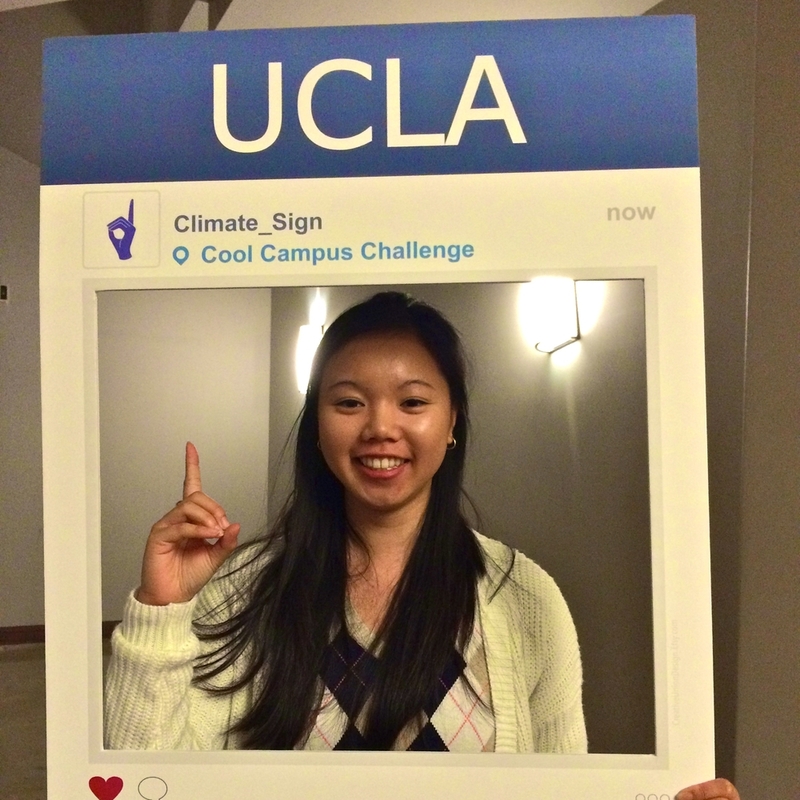 UCLA Students Raise the Climate Sign to Unite Campus for Carbon Neutrality! 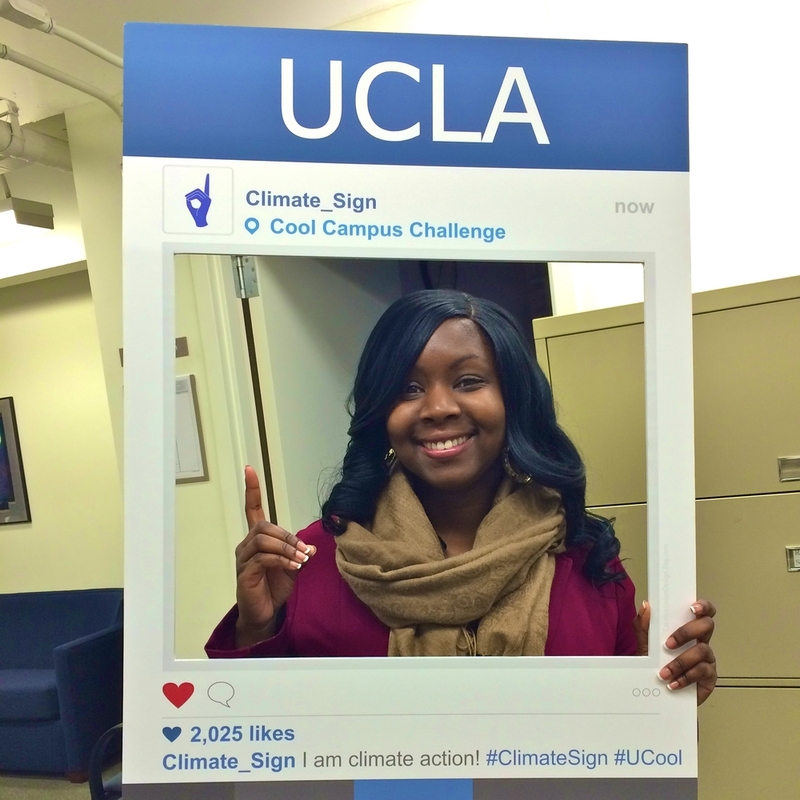 UCLA students raise the climate sign to unite their campus for carbon neutrality! As all of the University of California campuses compete to lower their campus carbon footprints in the Cool Campus Challenge, UCLA has risen ahead of eight other campuses. 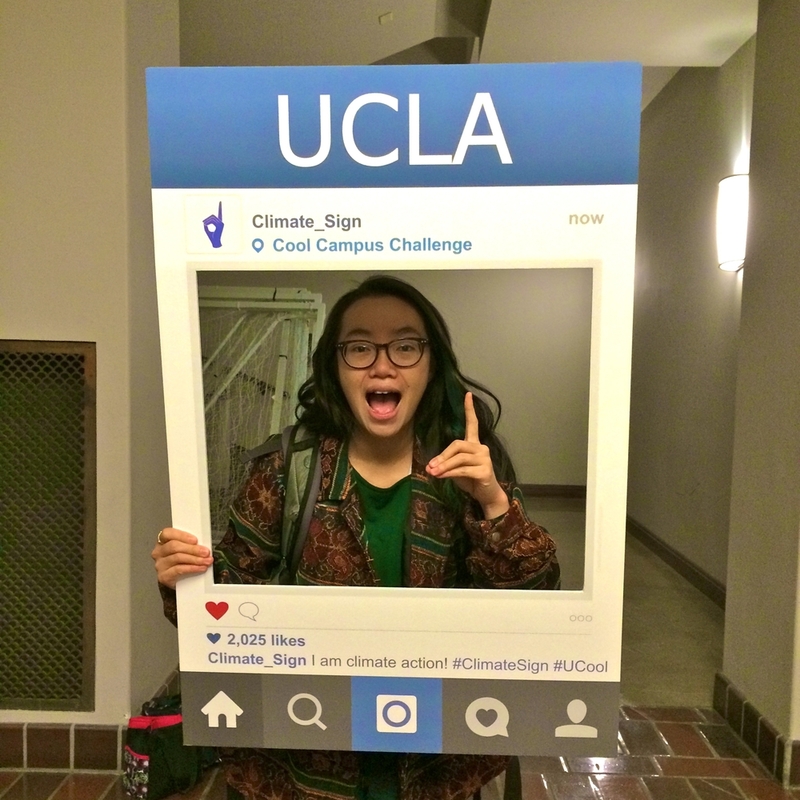 Carbon Neutrality Fellow, Austin Park, says that the climate sign has, “…proven to be an awesome way to generate interest.” Using climate sign photo booths and stickers, he and other student leaders have encouraged their peers to unite for climate action and take steps to reduce their carbon footprints. 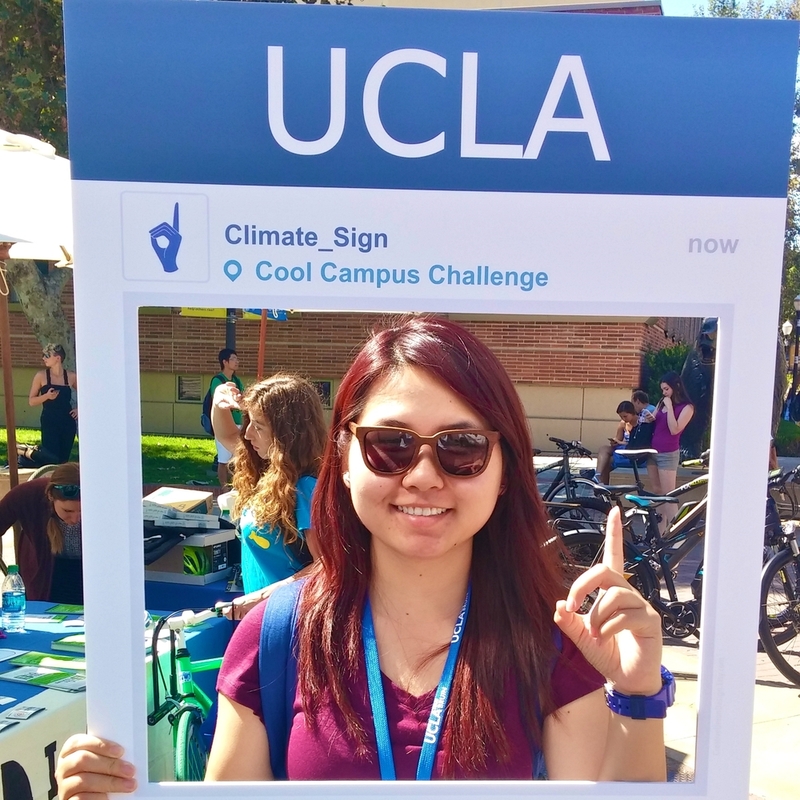 The climate sign means “d” in American Sign Language, which stands for “decarbonize.” Students across UCLA have spread the message that together, their campus can completely decarbonize by year 2025.